The University of Illinois at Chicago continues to earn high marks nationally for its academic strength in the U.S. News & World Report Best Graduate Schools rankings. 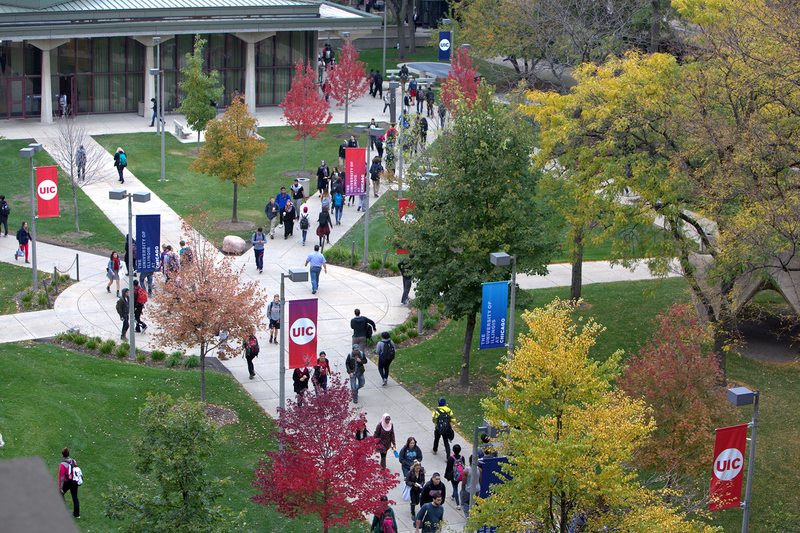 UIC continues to be recognized nationally for its academic strength. The 2019 edition, published March 20, features information and rankings in business, law, education, engineering, medicine, social work, criminology, public affairs, sciences and nursing. UIC’s master’s in nursing program moved up two places to No. 18 since last year. The Doctor of Nursing Practice program rose to No. 12, up from 15th. UIC’s part-time MBA program in the Liautaud Graduate School of Business improved 19 spots, from 66th last year to No. 47. The MBA is a practical management degree that provides students with a solid foundation in the core aspects of business and management. Students can customize their degree from among a dozen concentrations or work toward a combined MBA/MS in accounting, business analytics or management information systems. The program allows students to take classes during the day, at night or on Saturdays. Students set their own pace and can finish the program in as little as 18 months — or as long as five years. “The rise in positioning of our part-time MBA program is a reflection of recent top-tier faculty hiring and our commitment to our students’ success,” said Michael Mikhail, dean of the College of Business Administration. “Our combination of curriculum innovation and world-class faculty results in a high-value return on investment. The latest rankings also placed the College of Urban Planning and Public Affairs’ public administration program at 34 nationally, up 11 spots from its 2016 position. Other programs showing high marks are the College of Medicine, (medical research), 52nd; the College of Social Work, 24th; the College of Engineering, 65th; and criminology in the College of Liberal Arts and Sciences, 27th. Not all programs are ranked every year, although the U.S. News website presents the most recent ranking for every program they rank, whether they were ranked in 2019 or not.